"I don't pretend to be captain weird. I just do what I do." Johnny Depp was honored with the Fashion Icon Award tonight at the CFDA Fashion Awards. 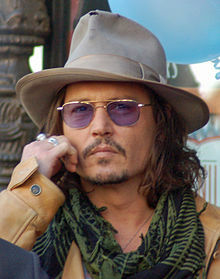 Previously awarded to women with a distinct personal style such as Lady Gaga, Sarah Jessica Parker, and Kate Moss, Depp was the first male to be recognized. The awards were held at Alice Tully Hall at Lincoln Center and marked the 50th anniversary of the CFDA. This is the first year that the ceremony will be digitally broadcast to the public on Style.com (tomorrow at 12 PM EST). 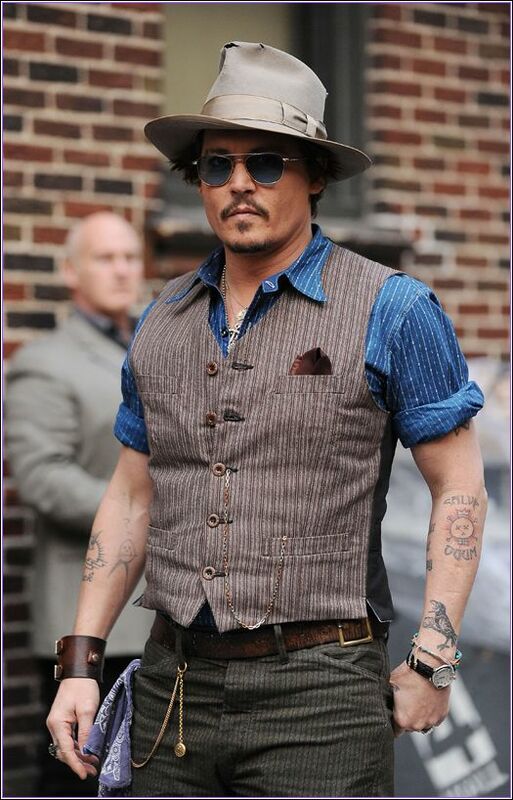 Depp’s unique style is an effortless juxtaposition of the disheveled, like a well-worn waistcoat, with the impeccably designed. An example of the latter is the headwear he sports on screen and in real life, created by master hatter Graham Thompson of Chicago’s Optimo Hats. 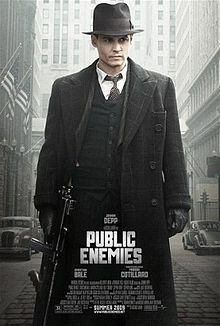 Thompson has provided custom-made, hand-crafted hats for many movies, including Cinderella Man and J. Edgar, and outfitted Depp for this iconic Public Enemies film poster. Such hats are a staple of Depp’s everyday wardrobe too, and his stylishly raked brims prove that while fedoras are no longer commonplace accessories, they can still be difference makers when worn with confidence and flair. When asked by James Lipton on Inside the Actor's Studio about his attraction to funny hats, Depp responded, "I don't know, maybe I just read too much Dr. Seuss as a kid." Not remotely related to Johnny Depp's hat collection, the warm Kansas weather has motivated me to make shorts. Having never made a pair before, I first had to figure out how to cut each fabric piece. I used ordinary tissue paper (still haven't managed to buy proper pattern paper) to make my own pattern and kept tweaking it until it yielded the perfect fit. Using my pattern, I made these plaid shorts in just under an hour. They are high-waisted and zip up the side. I'd like to imagine Johnny would be proud.